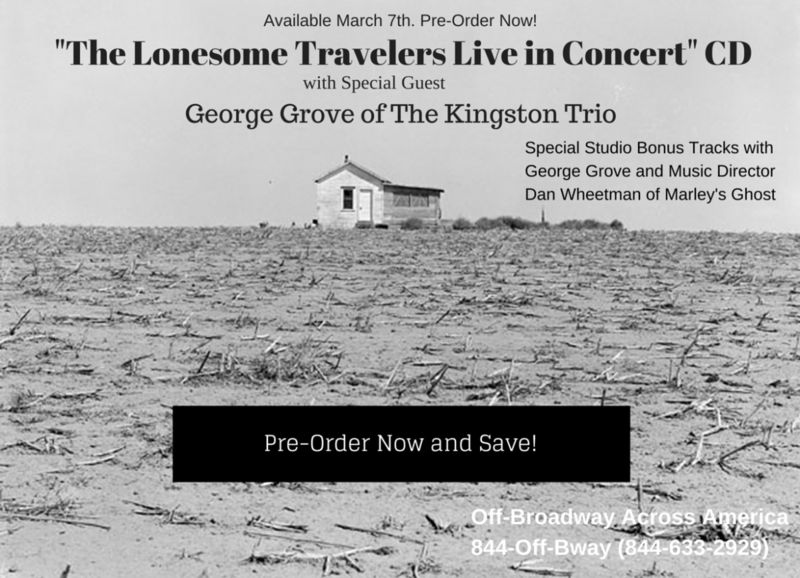 The Lonesome Travelers Live In Concert CD! with Special Guest George Grove of The Kingston Trio. *Special Studio Bonus Tracks featuring George Grove and Music Director Dan Wheetman of Marley’s Ghost.